Carol's Daughter has long been a champion for encouraging women to own and declare their beauty. The iconic beauty powerhouse founded by Lisa Price has been delivering a bevy of must-have products that ironically come "Straight Out Of Brooklyn". The latest project "Born And Made" is empowering women to celebrate their heritage. 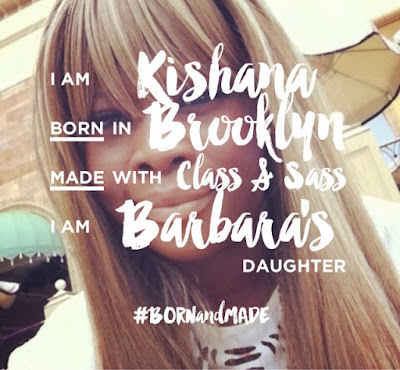 The Born And Made Campaign "Isn't just another campaign, it's a commitment in the form of a partnership with the on-profit organization I Am That Girl", states Lisa Price. Their collaborative mission for is designed for girls and women to understand and recognize their own power while celebrating themselves and others. Share via social media utilizing #BornAndMade and celebrate your beauty!